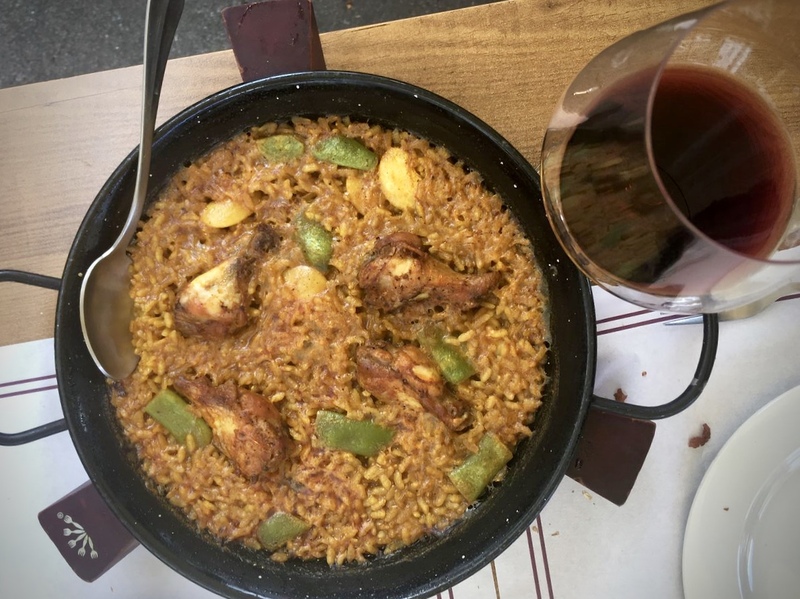 While walking the Camino de Santiago I had the opportunity to eat as much as I wanted. That’s the perk of walking 15-20 miles a day. And I definitely took advantage. 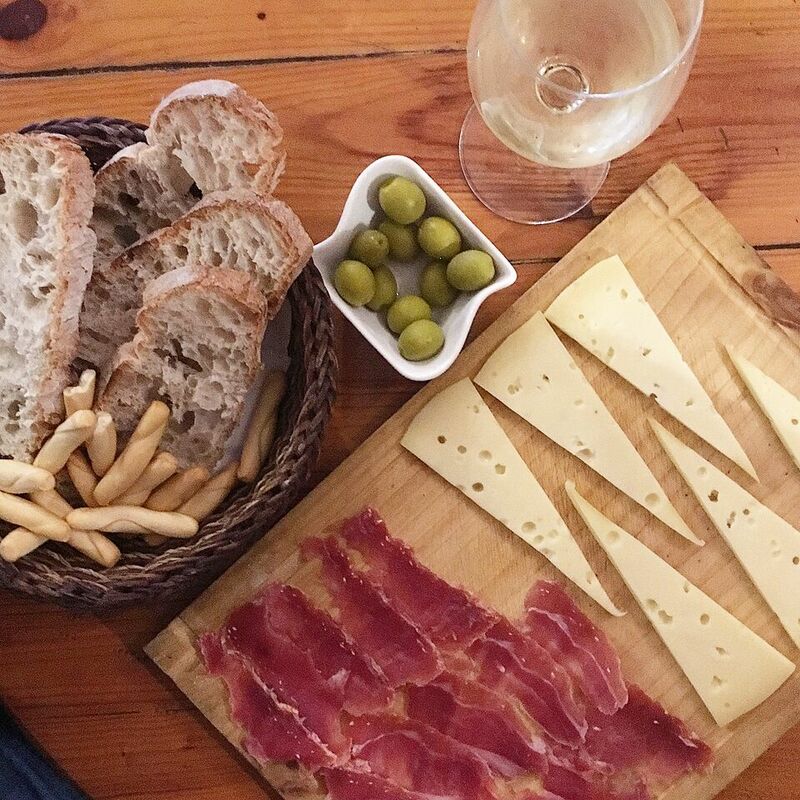 I love the tapas style way of eating that happens in Spain. It gives you the chance to try many things in one sitting and is great for sharing. Food is better with friends. The simple, clean food preparations let you appreciate the local flavors of the land and the gentle application of skilled hand. 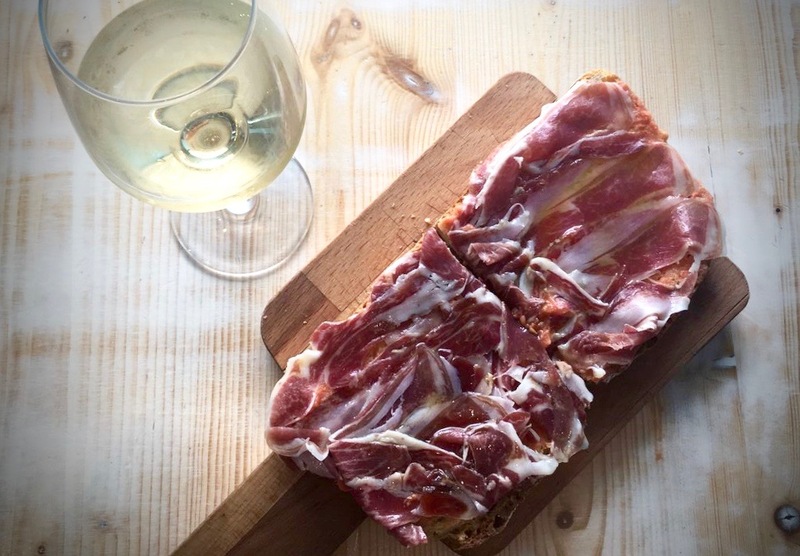 I washed everything down with copious amounts of Albariño, the local white wine that flows like water in the Galician region, morning, noon, or night and pairs perfectly with just about everything. 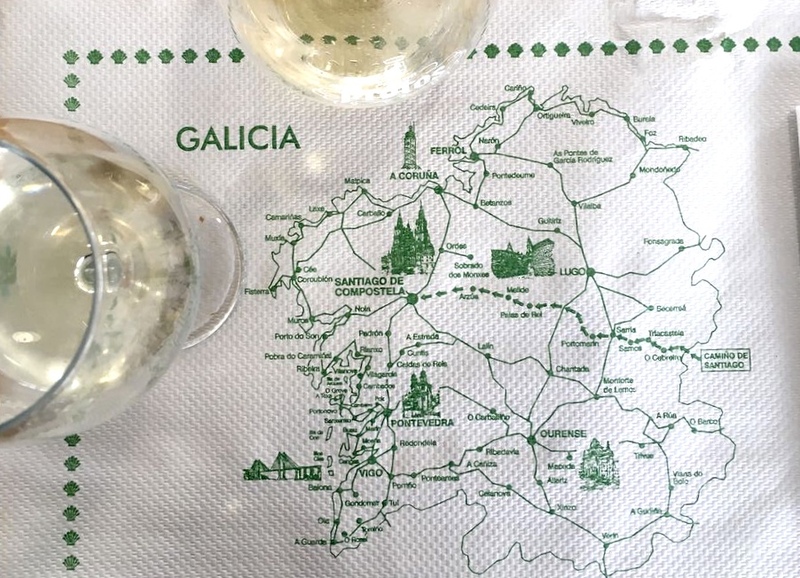 Just south in Portugal, the same grape is known as Alvarinho and equally as appreciated. The wine is crisp, clean, and high in acidity with subtle floral notes and punchy citrus flavors on the palate. 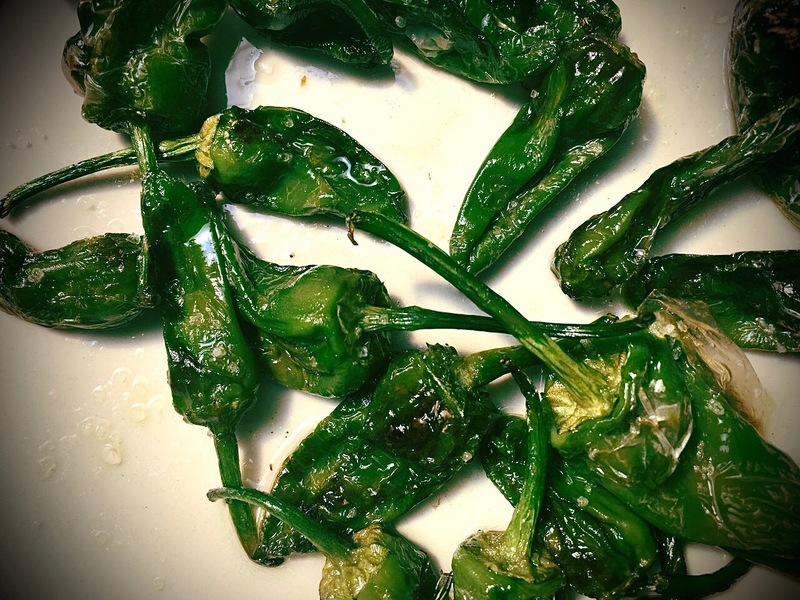 Padrón Peppers are a varietal specific to the province of A Coruña in Galicia. They are also known as shishito peppers in many places. What makes these peppers special is a that while the majority are mild, a wild one here or there might be off the charts hot. It’s a bit of a game of Russian roulette. A light char, drizzle of olive oil, and a sprinkle of salt are all they need. 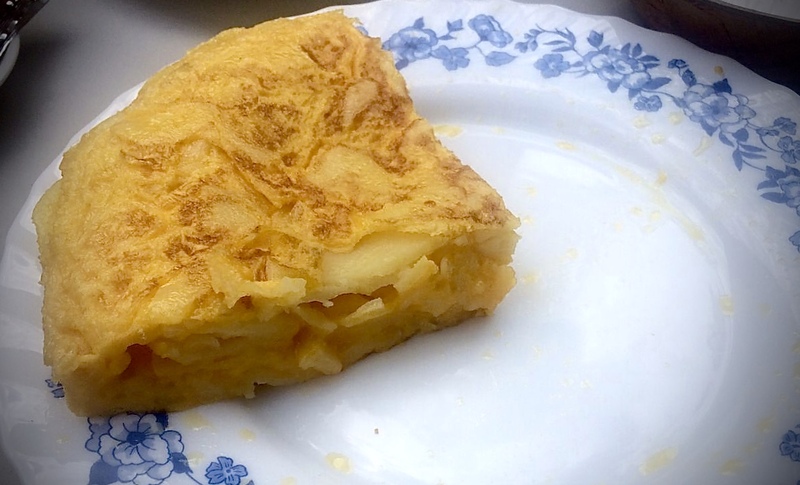 More often than not, in Spain, during the long walk on the Camino de Santiago, tortilla’s were the only thing available to eat which was just fine by me. It quickly became evident I would become addicted to these. Almost each one I had was consistently delicious. I was super happy to be constantly consuming these simple, fluffy egg and potato omelettes. Served cold or hot, either way, always good. 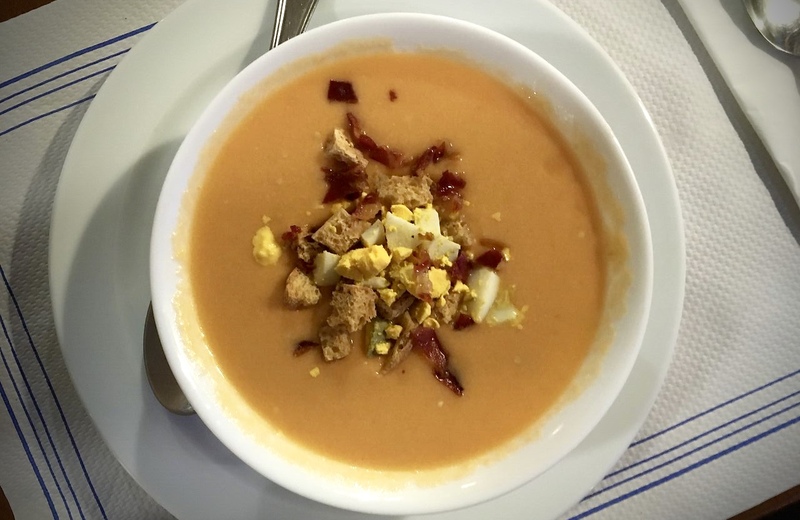 Salmorejo is the cousin to the more widely popular gazpacho. 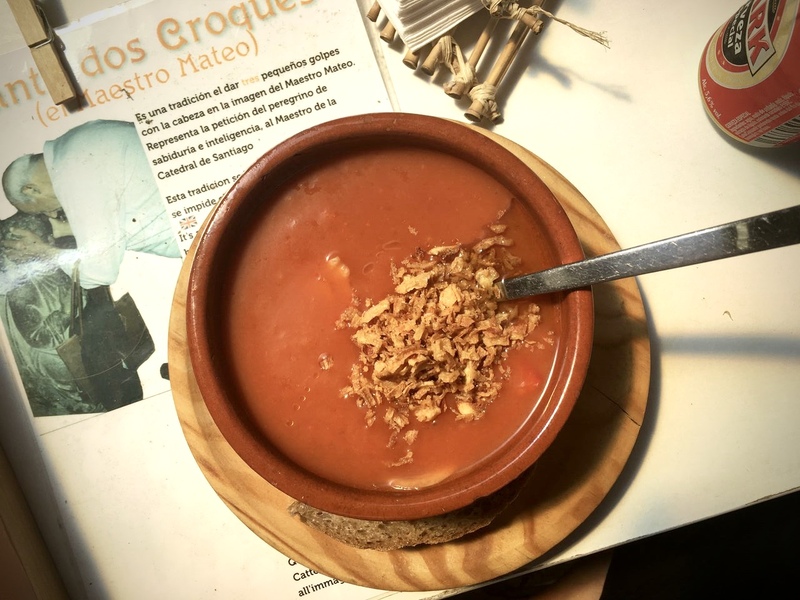 Salmorejo is a creamy chilled tomato soup made with nothing more than bread and a some garlic. The soup is pureed and silky in texture. Gazpacho is usually made with other vegetables like raw cucumber and served in a glass to be enjoyed like a drink on hot days. Paella is a Valencian rice dish that dates back to the 19th century. While there is the traditional Valencian paella, vegetarian paella, seafood paella amongst others is widely available. The basic recipe calls for white rice, beans, and saffron cooked in olive oil. The dish is generally large and served in a flat iron pan, best for sharing. Yes, please! 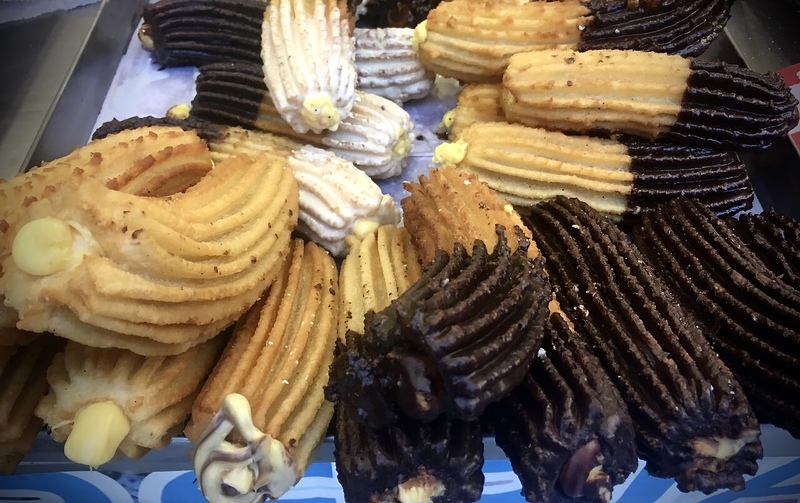 The dough, which is made of flour is piped out and deep fried to a crisp then coated with sugar, cinnamon, or chocolate and sometimes cream filled. This one is particularly important to those making the pilgrimage to Santiago de Compostela from various places in Europe. It literally means cake of St. James and the Camino de Santiago is literally the way of St. James. Many pilgrims celebrate their arrival to the Santiago Cathedral with one of these cakes. I certainly did. 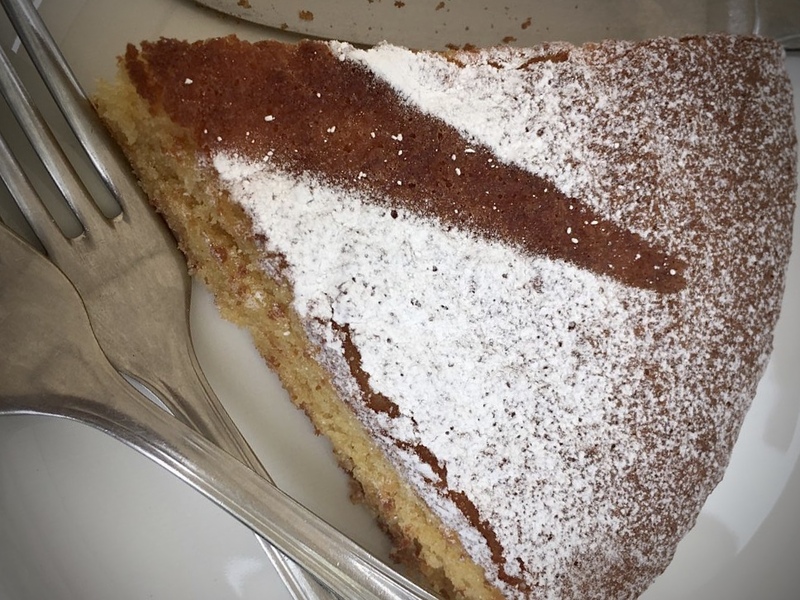 The cake is similar to a simple coffee cake but specifically made with almond. It’s light and fluffy with minimal sweetness. It’s then topped with powdered sugar in a way to leave the trademark imprint of the traditional cross of St James.